"Explain how an author uses reasons and evidence to support particular points in a text." Differentiating between facts and opinions is a key year five skill to master and is helpful in identifying the author’s purpose in a text. Use this activity to give your students extra practise differentiating between these two kinds of sentences. Use these vocabulary cards with the EL Support Lesson: Identifying the Author's Purpose. 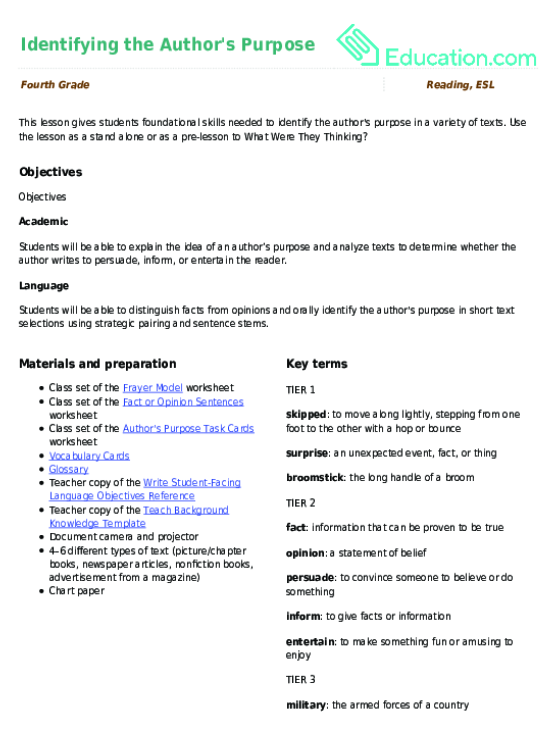 Use this glossary with the EL Support Lesson: Identifying the Author's Purpose. Authors persuade, inform, and entertain through various types of writing! Students set out to identify the author’s purpose. Students will set out to categorize different types of text using the author's purpose as a guide. This lesson gives students foundational skills needed to identify the author's purpose in a variety of texts. 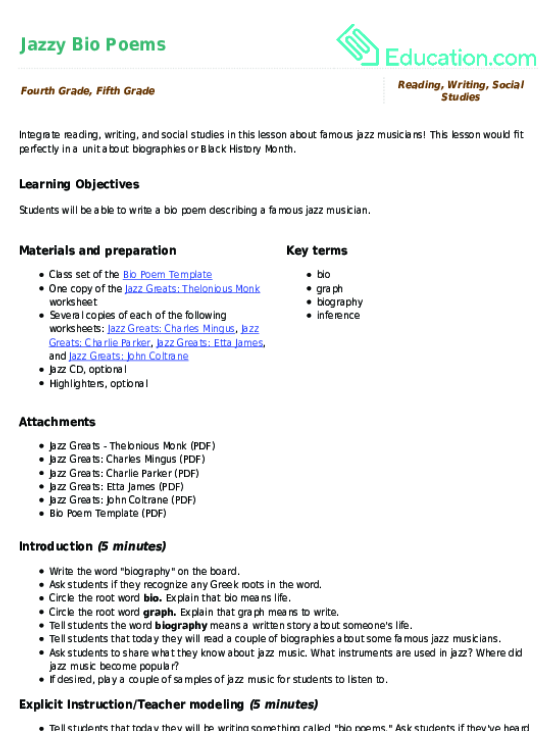 Use the lesson as a stand alone or as a pre-lesson to What Were They Thinking?